Picture this: A lonely man walks into a pet store to find a companion, and walks out with a tiny man in a cage. What follows involves abuse of power dynamics, and an exploration of class and desire. “End of the Line” is the first film from season two of Refinery29’s groundbreaking Shatterbox Anthology short film series by Jessica Sanders, an Academy Award-nominated, Sundance and Cannes-winning filmmaker, recognized worldwide for her documentary and narrative work. Produced in partnership with TNT, Shatterbox Anthology spotlights voices of emerging and established female filmmakers, telling stories outside the narrow lens of the overwhelmingly male-dominated industry. 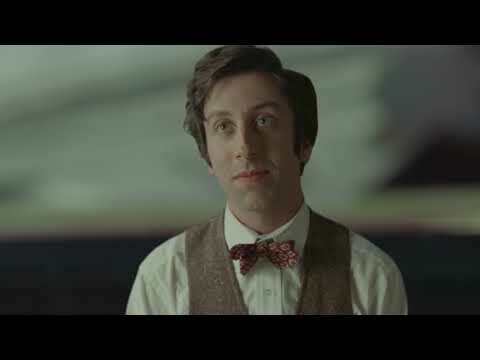 The film is based on a short story of the same name from writer Aimee Bender’s collection “Willful Creatures.” Starring Brett Gelman (“Stranger Things,” “Lemon”) as Big Man and Simon Helberg (“The Big Bang Theory”) as Little Man, the film is a dark, funny, sad, scary and exhilarating exploration of power and abuse. While Sanders has long had an admiration for the surreal, “End of the Line” signifies an expansion of her directorial repertoire both in scope and visual effects. With the use of high quality VFX, the female-crafted short film cleverly explores topics centered around the abuse of authority – making it perfect for today’s social climate, both on screen and behind the camera. The film will had its world premiere at the 2018 Sundance Film Festival on Saturday, January 20th. Sanders is no stranger to Sundance, her first feature documentary After Innocence (which she directed, wrote, and produced) won the Sundance Special Jury Prize. Her repertoire also includes the feature documentary March of The Living, and the Oscar-nominated short film Sing, which follows a community children’s chorus as it battles massive budget cuts in the arts. Additionally, Jessica is an award-winning commercial director, having helmed numerous campaigns for the likes of Apple, Amazon, Samsung, Honda, Toyota, Procter & Gamble and more. Her work can be seen at www.jessicasandersfilm.com. Check out this fantastic LA Times feature about Sanders and her fellow Shatterbox directors.